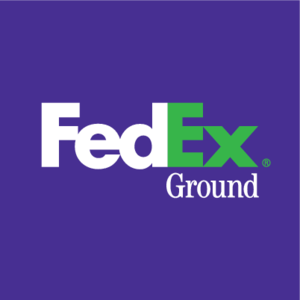 MEMPHIS, Tenn., Sept. 12, 2018—FedEx Corp. (NYSE: FDX) has boosted its capacity and operational innovation to expand FedEx Ground U.S. operations to six days per week in response to the growing e-commerce demand and record influx of volume expected this holiday season, and beyond. Investments in innovations such as automation, robotics and real-time route planning, sortation and delivery technology continue to enhance the agility of the global FedEx network. Autonomous, driverless tugger technologies are enabling FedEx Ground to more effectively handle large, non-conveyable packages, which comprise more than 10 percent of FedEx Ground package volume. Robotic trailer unloading systems use a combination of robotic technology (sensing, movement and intelligence) with bulk unloading techniques. The deployment of trailer load analytics in hubs and automated stations to provide performance monitoring of trailer load quality and utilization. FedEx Ground yard management systems, which interact with GPS tags on each trailer and creates geofences around FedEx Ground facilities, automatically notify the control center when a trailer arrives and departs. FedEx is increasing its use of data science and analytics to enhance real-time decision-making around network engineering, scheduling and customer needs. FedEx Express has installed enhanced vision systems on our cargo planes. The infrared night-vision system greatly improves pilots’ ability to land in low-visibility conditions and mitigate potential weather delays. This technology allows FedEx Express aircraft to descend to 100 feet above the touch down zone elevation of the runway. FedEx Express has enhanced the capabilities and economics of its global network through a multi-year fleet modernization program. Since its inception in fiscal 2007, the program has brought in a total of 210 more reliable and efficient aircraft (34 777Fs, 57 767Fs and 119 757Fs).